Programmatic ad buying is huge. It is a relatively new digital advertising phenomenon which has accelerated over the past decade and one which advertisers and brands have welcomed with open arms and are becoming significantly more comfortable with. Most of you reading this will already know what programmatic is. For those who don’t, programmatic is simply the use of technology, namely computers, to buy and sell ads, in comparison to human interactions. This does not signal that robots are taking over our jobs. The programmatic system of ad buying simply takes away the need for humans to carry out menial tasks. However, we are still extremely important for campaign management, optimising campaigns and planning strategies. The idea that machines are effectively running the digital advertising world may seem a little futuristic. However, this method of ad buying and selling is becoming more sophisticated and is consistently growing (eMarketer, 2016). eMarketer suggests that around 83% of all ad buying will be done programmatically by 2017. It also seems like it is set to stay, with 95% of marketers surveyed in ‘The State of the Industry UK‘ 2016 report stating that they plan for their programmatic ad budgets to increase (45%) or stay the same (55%) this year. Programmatic is being used across a wide range of channels, from social media, TV and video, with even programmatic radio coming on board. However, the main driving force behind the growth of programmatic has been mobile. This is unsurprising considering we are increasingly becoming a mobile-first world, resulting in brands and agencies budgeting a significant amount of their ad spend on mobile. In the UK, mobile ad spend accounts for over a quarter (27%) of all media spending. Meanwhile, eMarketer suggests that mobile ad spending will make up over 38% of US ad spend, overtaking TV ad spend. This year alone, mobile has accounted for more than two-thirds of programmatic digital display ad spending. Mobile programmatic is predicted to reach $15.45 billion in 2016, representing 69% of all programmatic ad spend in the US (eMarketer, 2016), a significant increase from 2014 and 2015. 2017 looks even more promising for mobile programmatic as it will surpass desktop programmatic spending for the first time. It isn’t just mobile programmatic seeing a dramatic increase in spend but mobile video programmatic is also predicted to experience significant growth, especially in 2017 where it is expected to represent 51% of programmatic ad spend in the US (eMarketer, 2016). What shows the power and importance of mobile ad spending is the fact that programmatic-based desktop ad spending is set to drop for the first time, falling to just under 49% of total programmatic digital ad spend. Why is Mobile Programmatic Growing? It is extremely important for advertisers to reach relevant mobile audiences. As a society, we have our mobile phones with us throughout the day and the majority of people sleep with their phones nearby, making the mobile extremely influential in our day-to-day lives. Rather than blanket advertising to a large group of untargeted consumers, through using mobile programmatic advertising brands can gather data and intelligence on consumers a lot more efficiently, enabling the correct consumers to be targeted and therefore improving brand performance and KPIs. Essentially, programmatic allows brands to automatically reach very focused and selective audiences. Humans are constantly finding new ways in which to simplify day-to-day tasks, be it at home or at work. Automation is becoming more and more popular and programmatic is a perfect example of this. Programmatic makes our lives easier. With programmatic, all that needs to be done is an algorithm to be set and the rest is up to the technology. All this boils down to is efficiency and increasing ROI. With the aim of programmatic essentially being to target the perfect customer, at the perfect time, in the perfect place, programmatic should – if done correctly – enhance overall campaign effectiveness and make practical use of marketing budgets. 6 out of 10 marketers believe that programmatic provides a greater return on investment than traditional media spending. Marketers, advertisers and agencies are also becoming more and more comfortable with using mobile programmatic technology which will result in rapid adoption across channels. It’s a no-brainer that programmatic is going to continue to pick up pace in 2016 and 2017. Due to this, programmatic is naturally going to become more complicated and create greater competition. This is going to result in programmatic providers needing to provide a better experience for both advertisers and publishers. This will create opportunities for increase in ROI which will arise due to the improvements to programmatic. Programmatic is certainly not a ‘trend’. Within the next few years, the majority of ad buying and spending will be done programmatically, especially in the mobile and video ad industries. 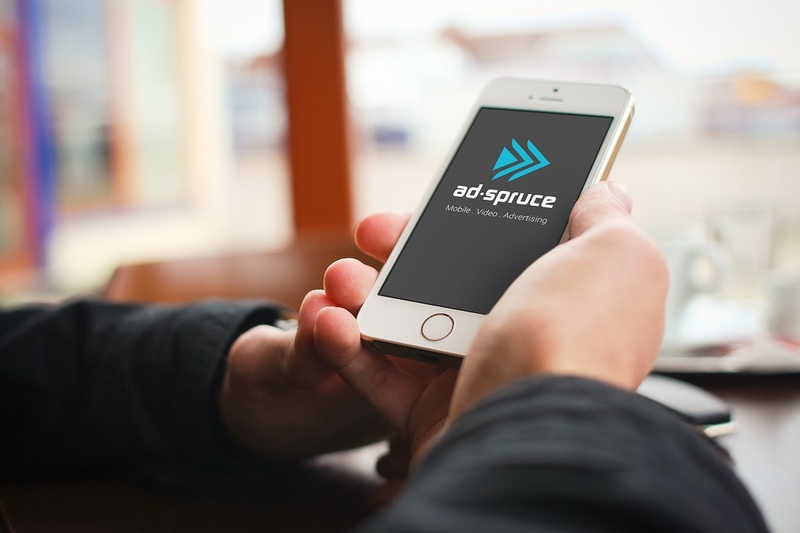 AdSpruce prides itself on being a programmatic video platform, using programmatic algorithms and 3rd-party open RTB connections to deliver native video, outstream video, full-page interstitial, pre-roll and video in-page mobile adverts. To find out more about AdSpruce can help you, visit the website. If you have any comments the let us know through our Facebook, Twitter or Google+ pages.